Avoid IRA withdrawals unless you're already at retirement age. 3. Do I Need a 1099-R Form When I Withdraw My IRA? An individual retirement account is a special type of investment account that comes with a significant number of rules and regulations. Designed as a long-term savings account for retirement, the Internal Revenue Service restricts both contributions and withdrawals from IRAs. While you can take a distribution from your IRA at any time, you'll have to complete paperwork documenting the withdrawal. You may also face taxes and penalties, depending on the type of distribution. 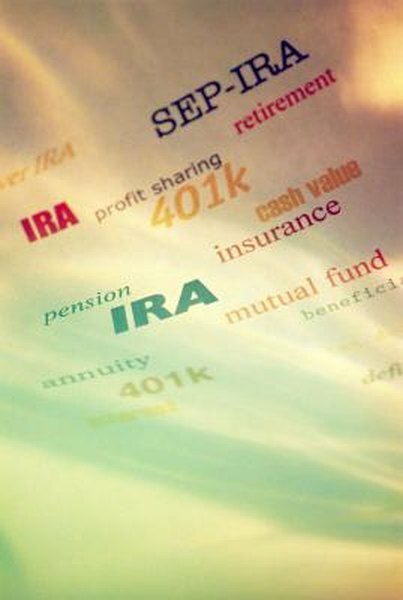 The type of IRA distribution you choose could have significant ramifications, so select the most appropriate option for your situation. For example, after age 70 1/2, you're required to begin taking annual distributions from your IRA. Before age 59 1/2, you'll owe a 10 percent penalty on your withdrawals. If you're taking a qualified Roth withdrawal, defined as having a Roth IRA for at least five years and being over age 59 1/2, you're distribution will be tax-free. Choosing the correct type of withdrawal can help you avoid penalties. When you withdraw money from your IRA, your custodian -- the financial firm entrusted with overseeing your account -- is responsible for reporting certain information to the IRS. As a result, you'll have to fill out paperwork whenever you want to take money out of your IRA. Most of the information is straightforward personal information, such as your name, address, date of birth and Social Security number. However, you'll also have to specify your distribution type, where you want the money sent and how you want your money delivered. You can also choose at this time to have your firm withhold a certain percentage of your distribution for taxes. With limited exceptions, all IRA distributions are taxable. Your IRA custodian will report the amount of your withdrawal to the IRS, so when you file your taxes, you'll have to list the distribution as well. IRA withdrawals are subject to ordinary income tax, even if you earned capital gains, such as from stock profits, within the account. The main exception is a qualified distribution from a Roth IRA, which is tax-free. You can also avoid taxation on the withdrawal of any after-tax contributions you made to your IRA. A rollover is a special type of IRA withdrawal that doesn't technically count as a distribution. If you take money out of your IRA and deposit it into another IRA within 60 days, the IRS views this as a tax-free transfer. You'll still have to report the transaction to the IRS, but you won't have to pay any taxes or penalties. You can use this provision to take a 60-day loan from your IRA once per year, as long as you return the money in time. IRS: Publication 590 -- Roth IRAs -- Are Distributions Taxable?